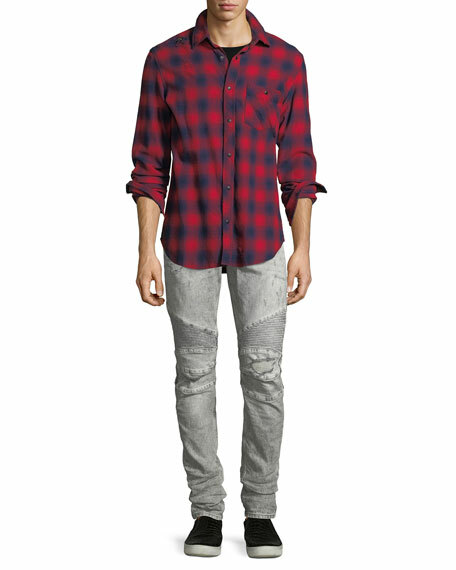 Hudson "Blinder Biker" jeans in distressed destructed jeans. Five-pocket style; additional front zip pockets. Leather logo patch at back waist with channel stitching. Ribbed moto paneling at knees. Alexander McQueen jeans in black-wash denim. Full-length zip detail down outer seams. Five-pocket style. Regular rise. Slim, straight legs. Cropped at ankles. Button/zip fly; belt loops. Cotton/spandex. Made in Italy. 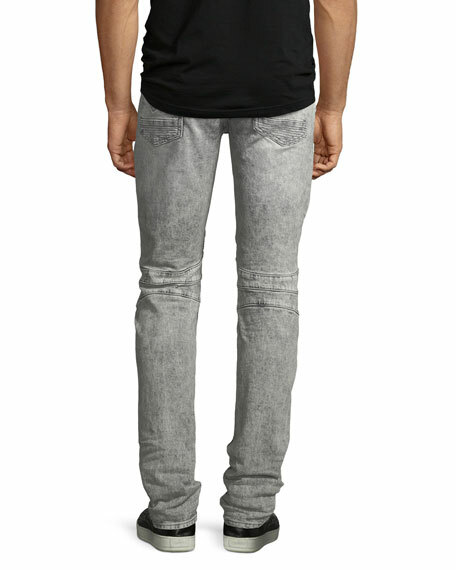 Diesel "Thommer" jeans in distressed, whiskered denim. Approx. 32" inseam. Five-pocket style. Regular waist with a higher rise in the back for added coverage. 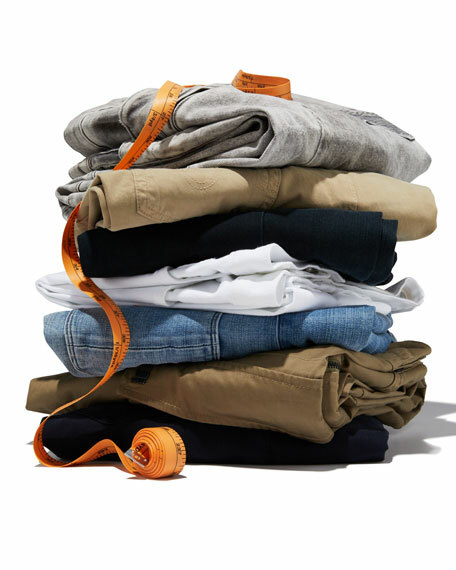 Skinny fit, with stretch-fabric for comfortable fit. Button/zip fly; belt loops. Cotton/polyester/spandex. Made in Italy. 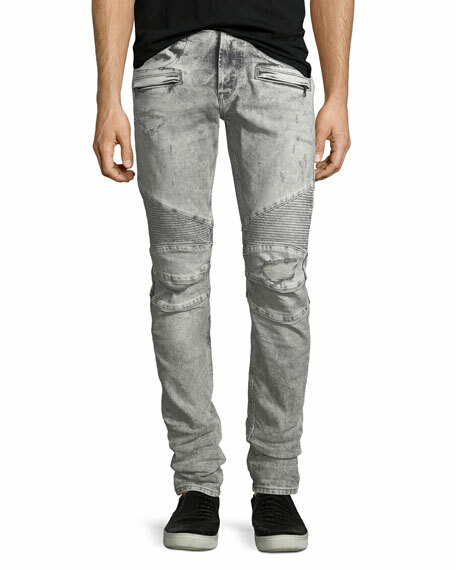 Diesel "Sleenker" fit denim jeans with light fading and distressed detail. Approx. measurements: 10.5" rise; 32" inseam; 42" outseam; 13.5"
Diesel "Sleenker" fit denim jeans with light fading and distressed detail. Approx. measurements: 10.5" rise; 32" inseam; 42" outseam; 13.5" leg opening. Five-pocket style; tonal stitching on back pockets. Skinny, narrow fit from knee to ankle. Button/zip fly; belt loops. Cotton/spandex. Machine wash. Imported.